Julie Hens is a dynamic leader, focused on driving growth, innovation and building exceptional teams and partnerships. Throughout her career she has worked across several technology industries, currently leading the Global Distribution Channel at Cisco. The Global Distribution organization is one of the fastest growing segments of Cisco's business representing over $16B in revenue. In her current role as Vice President, Julie has grown the two-tier business by double digits and established a new transformational strategy to capture market transitions around cloud marketplaces, software, security and IoT. 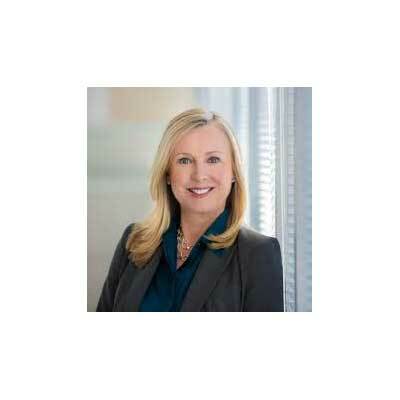 She has spearheaded a new wave of Channel Route to Market's and specifically evolved how Distribution can drive innovation and scale for Partners. Formally the Vice President of Americas Distribution, Julie instituted a new distribution landscape focused on optimizing access to new markets and revenue streams and led the team to their first billion dollar quarter. Julie is passionate about leadership and provides mentorship through several forums including the Forum for Women Entrepreneurs and Executives and Advancing Women Executives, LLC. Julie is also an executive sponsor of Cisco's Veteran's Enablement and Troop Support group. Distribution is a strategic asset for Cisco and we have delivered balanced 2T double digit growth across all Regions, Architectures and Recurring Offers over the past year. Our strategy is working and we have focused around three key areas: Growth, Velocity and Innovation Growth: Our next generation networking has been a key driver of our success. In addition, we have jointly invested with our distributors in global security initiatives that deliver training and enablement so that our partners can build their security practice and deepen relationships with their customers. Velocity: We are focused on helping our partners and distributors transact with velocity. To do that successfully, we've launched several initiatives to streamline our operations and drive simplicity. Innovation: We are focused on enabling new partners and new markets with our Distributor marketplaces and IOT. Our distributors are key enablers to help us with creative ways to open up those markets and create significant pipelines. 1. Help partners capitalize on our latest networking innovations and shift to more software-centric IT business models that not only provide recurring revenue, but also provide profitable customer application and services revenue. 2. To unleash the value of software for customers and create additional profit engines, we're helping partners build their own customer success practices. With our assets and tools, partners are discovering how customer success leads to greater customer loyalty and profitability. 3.) We are helping partners sell beyond traditional IT buyers and equipping them to bridge to new buying centers and selling solutions to drive business outcomes. I really admire the tenacity and courage of J.K. Rowling. While she is obviously one of the most successful authors of all time, she is a testament to never giving up no matter how hard things get. She has spoken about how important it is to understand how failure can furnish you with skills that can utilize throughout your life. It takes tremendous courage to do things that frighten us and she's an inspiration to learning to embrace challenges and keep moving forward. Be less serious and more relaxed. There will be lots of time to figure out what and where you need to be in the future. I think I'd give myself permission to enjoy the moment and be more present. You don't need to over rotate on the future. Also, try not to be too hard on yourself when you fail. What happens when you hit adversity is what will give you your greatest strength. Now is the time to take chances, to grow, to fall down and then to get back up. I would like to be a Cisco engineer to gain the unique technical insight that an engineer has of the latest developments and then marry that with my business acumen and industry knowledge. This would allow me to better understand how multiple architectures and emerging technologies could come together and then align to the outcome expectations of my customers and partners. Engineers can visualize complex constructs in their mind, in short, they understand what's possible. The ability to understand the possibilities of what's coming next, whether it be AI, Machine learning or advanced services in the cloud would be powerful. I really enjoyed "The Pillars of the Earth" by Ken Follett. The joy of the story is that it centers on the building of a cathedral spanning a 30 year period during which time you get to delve into the entire lives of the main characters. His portrayals of several human emotions like greed, courage, revenge and love wrapped up in a fabulous portrayal of architecture, set the scene a fabulous escape into a completely different world.